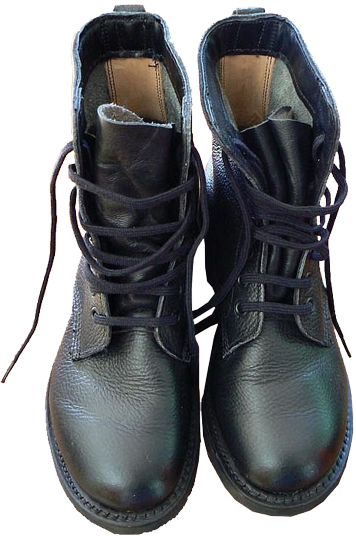 As an example, one should mention standard sand-coloured boots made of suéde (shammy leather), which were manufactured by the already mentioned "WAYTREAD" footwear company. 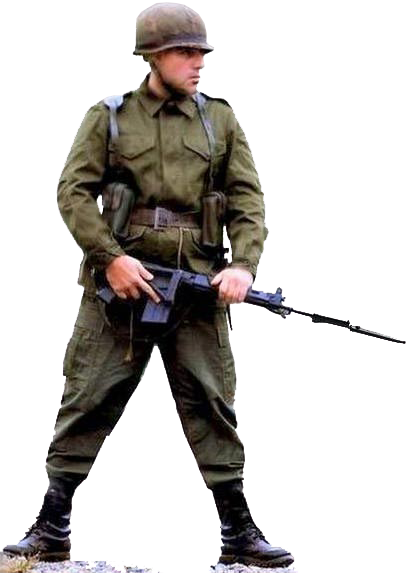 These boots by their overall characteristics do not differ much from similar brown-coloured grained leather SADF boots. - Inside the lower part of the boots, there added an additional lining of light yellow "glove"-type leather (on the level of the malleolus bones and up to the top of the inner back side). 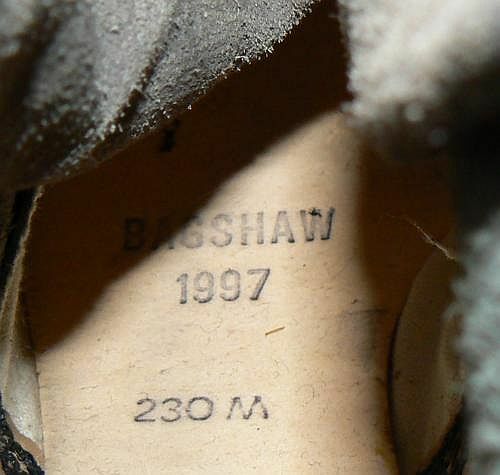 The stitches on the inner back side are covered to protect the feet from rubbing. 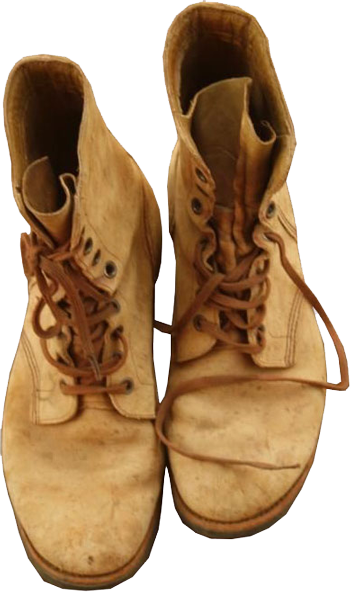 These black boots also issued to the South African peacekeepers, who operated in the neighbouring African countries under a UN mandate. 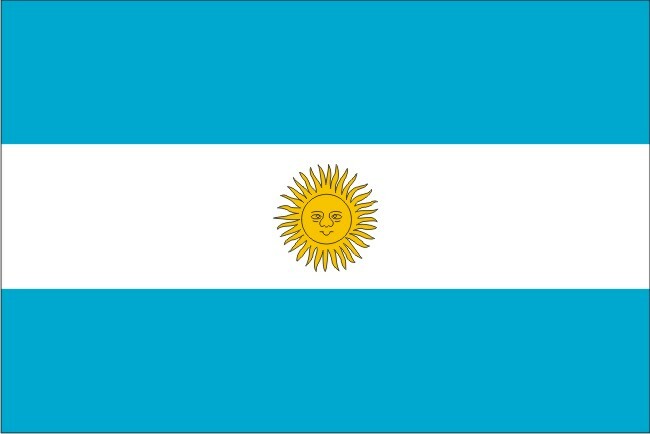 Argentine Republic got its name from the Latin word "Argentum" ("silver"). This is the largest Spanish-speaking country, not only in South America, but also around the world. 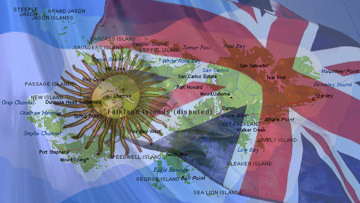 In South America Argentine is second in size. Only the Portuguese-speaking Brazil is larger in territory. Argentine borders with Uruguay, Brazil, Paraguay, Bolivia and Chile. Argentine has a wide variety of climates and natural conditions, this country can be divided into four climatic zones: subtropical valleys in the North, the Pampas in the East and in the Center, Patagonia and Tierra del Fuego in the South, and the Andes Mountains to the West. 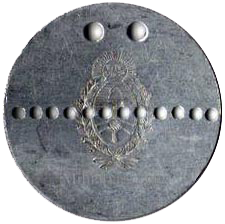 Accordingly, the Armed Forces of Argentine ("Fuerzas Armadas de la Republica Argentina" in Spanish), must be prepared to operate in all the climates and very different weather conditions. 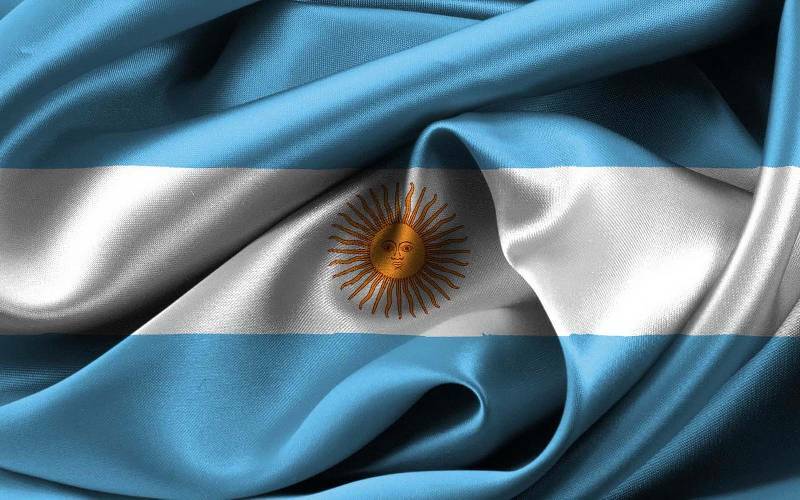 The Armed Forces of Argentine consist of three components: the Army, the Navy and the Air Force. 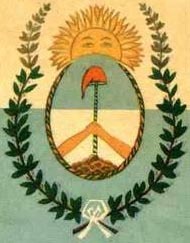 The Argentinian General Staff ("Estado Mayor Conjunto de las Fuerzas Armadas" in Spanish, or simply "EMC") officially declares the coordination and cooperation of all the military branches as its main goal.